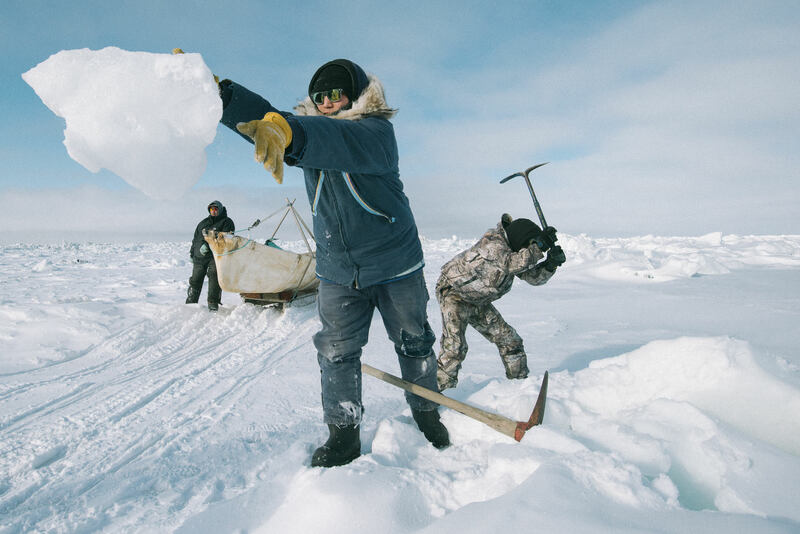 Billy Okpeaha, a 15 year-old aspiring whaler, throws a hunk of ice out of the path of his crew's skinboat. For the young people of town, whaling is a sense of identity and purpose. It also keeps them out of trouble. The public defender for the Alaskan Iñupiaq villages notes, "During the whaling seasons, probably four months of the year, crime becomes nonexistent. All the young men are out whaling."